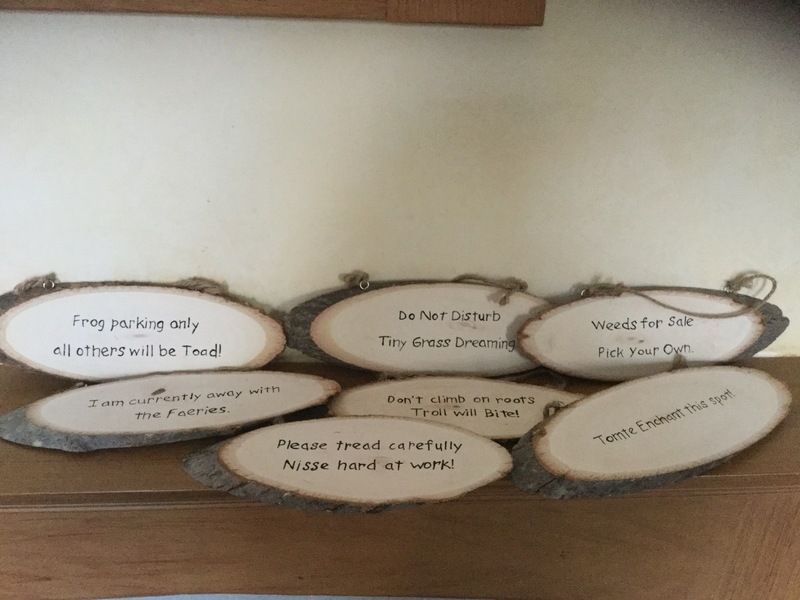 Home / STORE / Miscellaneous / Nisse Garden Signs. Nisse Garden Signs – 1. These cute little signs are made by the Nisse, who are asking your help to look after the gardens. 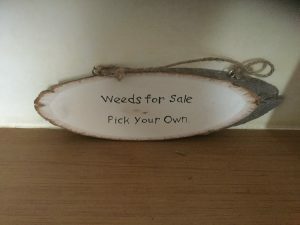 Weeds for sale. Pick your own. 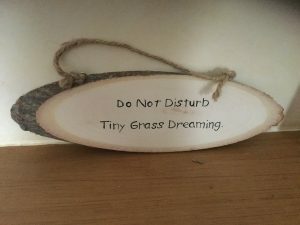 Please tread carefully, Tiny Grass Dreaming. 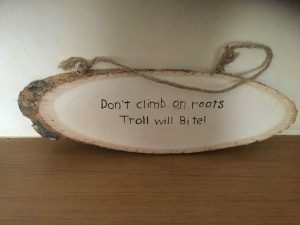 Don’t climb on Roots, Troll will Bite! Made from a slice of wood with Bark attached. Natural rope to hang the sign from.